All while Christianity and the Constitution are being disparaged, immigrants are flooding to America; not to toil the fields and fire the factories, and not compelled to assimilate and learn English. Instead, they cling to their native religion and customs, seeking to change America to resemble the failed countries they are escaping. Upon arriving in the U.S., immigrants become immediately eligible for welfare and their subsequent newborn are granted citizenship. Instead of necessarily holding a legitimate job that pays taxes, they procreate, increasing their welfare income, sending revenue back to their native country. They exacerbate negative culture trends by ultimately voting 3 to 1 for the Democratic Party that celebrates “diversity,” “multiculturalism,” and “enlightened” voters! The stated goal of President Obama is to “fundamentally change America.” His belief in collective salvation necessarily requires him to “spread the wealth.” Spreading the wealth through free trade, productivity, and charity is a good thing, but the faceless federal government taking money from citizens in order to give it away to immigrants of their choosing is demoralizing and does not raise people out of poverty, and will ultimately destroy America. Enter Islam. The average birthrate of immigrants tend to be double that U.S. citizens. For example, the average birth rate for a Muslim family is over 8% compared to the U.S. which is barely over 2%. For a society to sustain its culture, it must maintain a birthrate above 2.2%. Adapted from Dr. Peter Hammond’s book: Slavery, Terrorism & Islam: Historical Roots and Contemporary Threat, Pamela Geller has laid out the common patterns that Islam takes as it spreads in any given country, e.g., France. The Muslim Brotherhood has a stated goal of using political jihad to take over America and other Western civilizations. President Obama’s Sunni lineage ties him to the Sunni dominated Muslim Brotherhood of whom he receives hundreds of visitors to the White House affiliated with groups serving as fronts for Hamas and other Islamic militant organizations. The Muslim Brotherhood actively works in the U.N., and globalists such as Bill Gates funds their agenda utilizing deceptive avenues such as Common Core testing standards and Islamic friendly textbooks – HERE IN AMERICA! Toppling secular dictators, prematurely pulling U.S. forces out of Iraq, and the tepid resistance to ISIS has caused mass immigration from the Middle East which is facilitating the advancement of Islam in the Western world and allowing an emerging Caliphate, removing enclaves of Christians that have been in the Middle East for centuries. Interestingly, after routinely disparaging Christianity, Obama has warmed up to Pope Francis, the first Franciscan Pope in a 1000 years. While cloaked in a red robe of Catholicism, communist leaning Pope Francis placated illegal immigration and was almost silent about the persecution of Christians by ISIS (The growth of Catholicism is maintained in the US. by immigration and Islam is akin to communism, cloaked in a black robe). 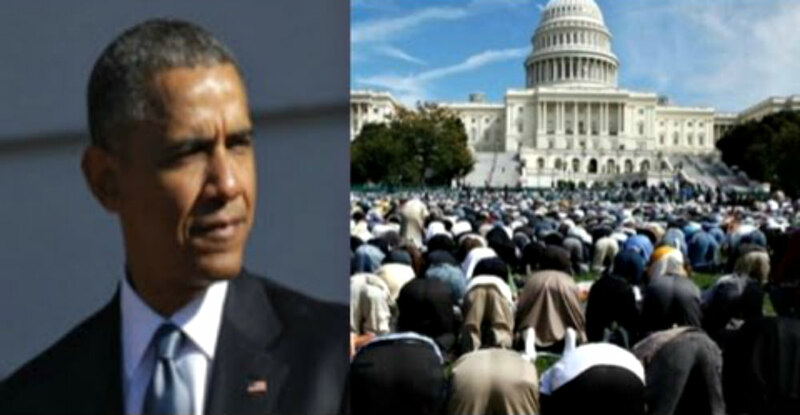 Of course President Obama and the Democratic Party support illegal immigration and accept Islamic refugees, but Obama is NOT a Muslim sympathizer; he does NOT hate traditional America; and his agenda is NOT to advance Islam – NOT! Retired builder. Began writing for local paper. Conservative/Christian Patriot who understands that eternal vigilance is required to preserve our liberty.